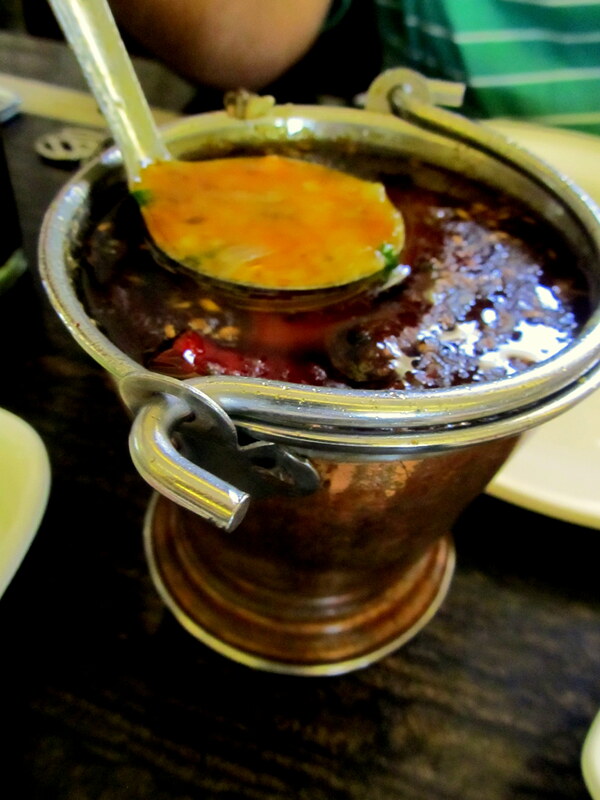 Like I said in my previous blog, I have become a huge enthusiast of Tadka Dal. 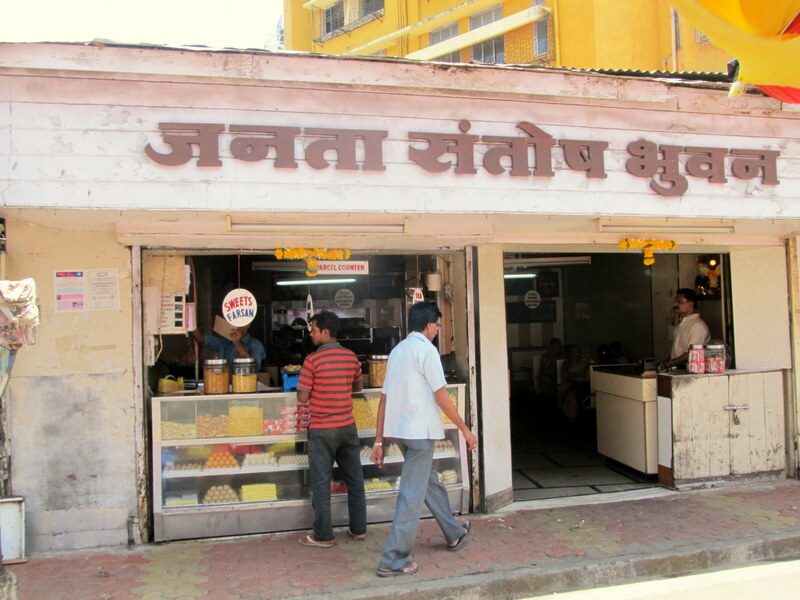 While at Aurangabad, whether at the hotel or restaurants visited or dhabbas ate at, I always ordered Tadka Dal and it never let me down in taste. Each diner had its own distinct flavour and each taste was excellent. 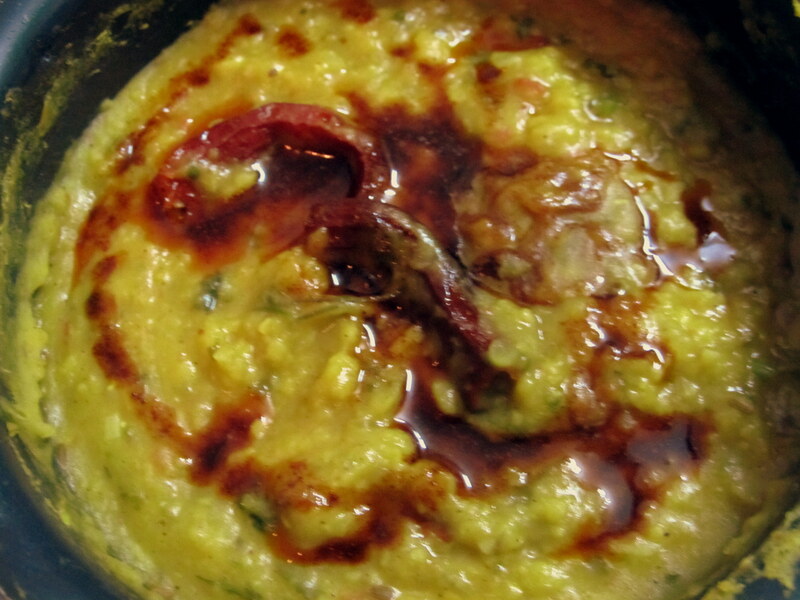 Maharashtrians make Tadka dal from Toor / Arhaar dal. Some also add Masoor dal. 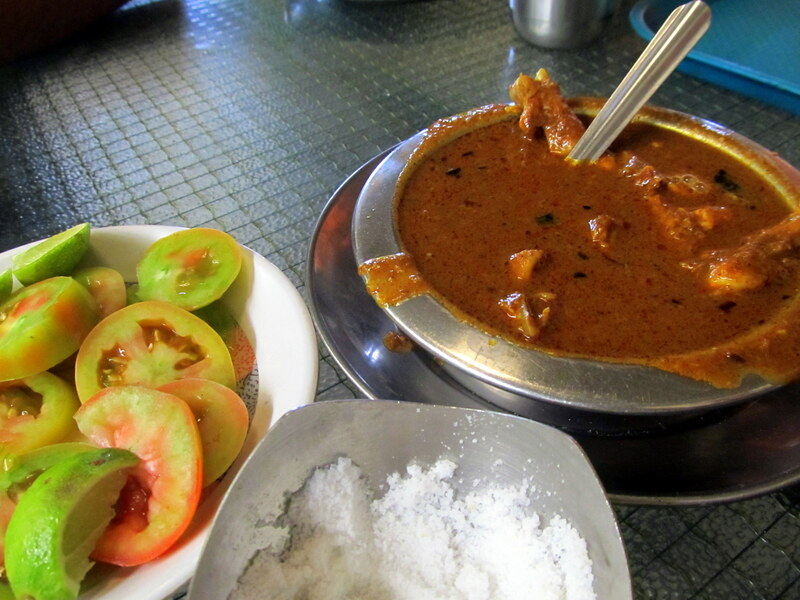 Having recently eaten so much Maharashtrian food, I was still pining for more. 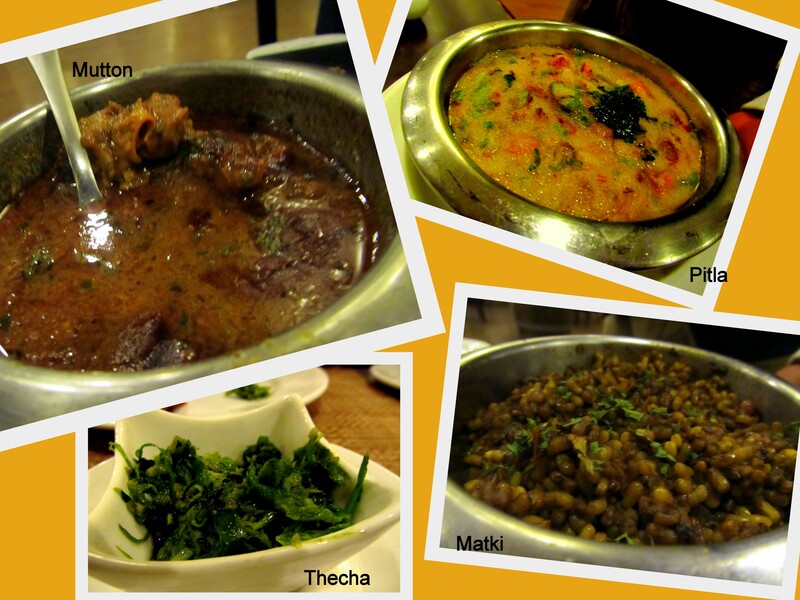 I never thought I would like Maharashtrian food so much! Well…. the very next day, having returned from Aurangabad, I surfed the net, downloaded a Tadka Dal recipe and made some for dinner. Made some minor changes to the recipe while cooking it. Aha…it turned out good. 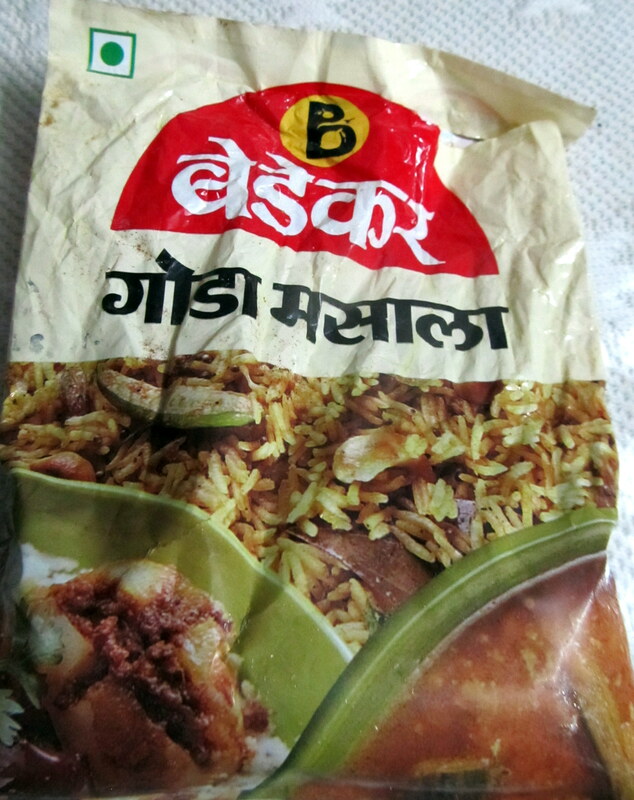 Had this with jeera rice. I took a road trip to Aurangabad last weekend. Actually as the 02nd of October, Wednesday, was a holiday, we got out of Mumbai on Saturday morning, drove to Aurangabad, and returned on Wednesday. We stayed at the Vivanta by Taj. We were not really tired by the drive. After having checked into the Taj, 2 hours later, we were swimming in the pool. The pool was large, 5’ deep and invigorating. 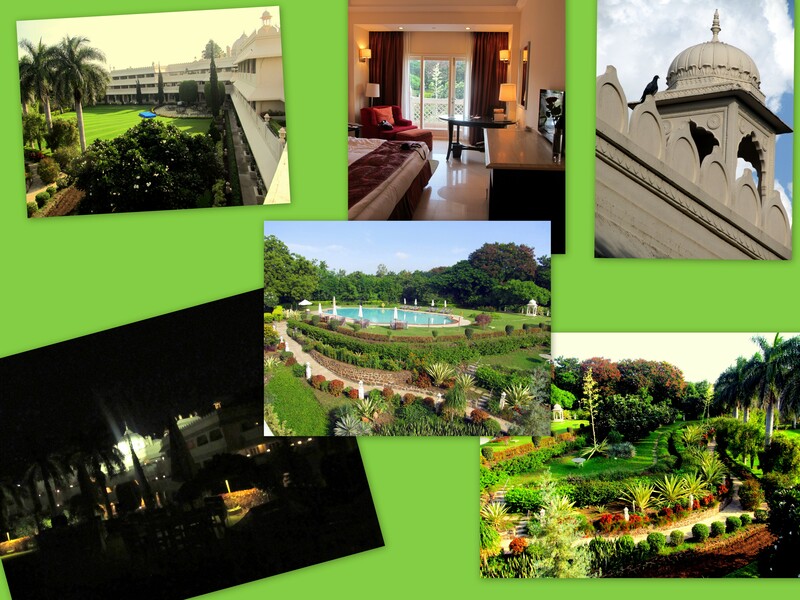 Four nights stay at the Taj was refreshing, relaxing and rejuvenating. As my blog is about food, let’s get to it. Breakfast at Taj was overgenerous. Below are only some of the photographs of their counters. For non-vegetarians, there were cold cuts, sausages, bacon and an egg counter where any way-you-like your eggs, they would make. For vegetarians, apart from the layout on the counters, you could ask for parathas and though only medu-wadas and idlis were on the counter, they would make you a hot and crispy masala dosa too. Totally enjoyed the breakfasts. Loved their baked yogurt. Everyday I had a different flavour. Dinner arrangement was just as luxurious. Some pictures below. 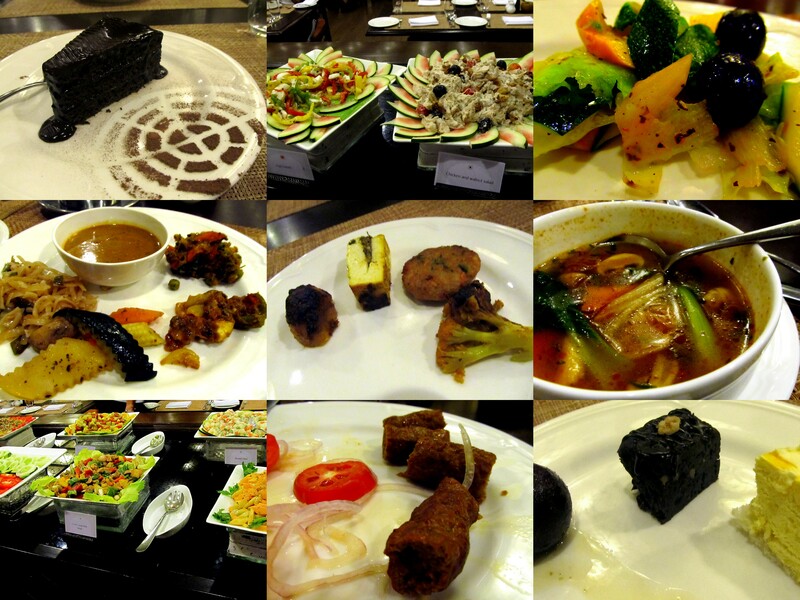 At Latitude (their restaurant), Manoj (I think he was the second-in-charge there), took very good care of our meals. We’d have a heavy buffet breakfast. Dinner was a choice of buffet or al a carte. We took the buffet. Every dish on the counter looked ravishing. However, taste-wise, most were just passable. I think the reason is that the flavours were toned down to suit the international clientele. However, Manoj would go out of the way to make our meals extravagant. 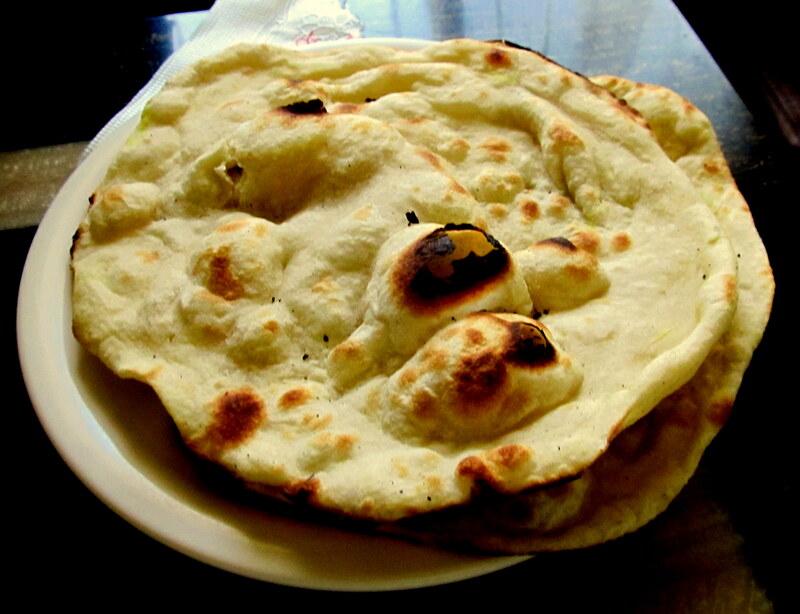 He would get made a stuffed onion kulcha just for me or a mutton kebab only for my husband. The staff there was so welcoming, accommodating and attentive – they even made a complete Maharashtrian meal just for us, vegetarian as well as non-vegetarian. 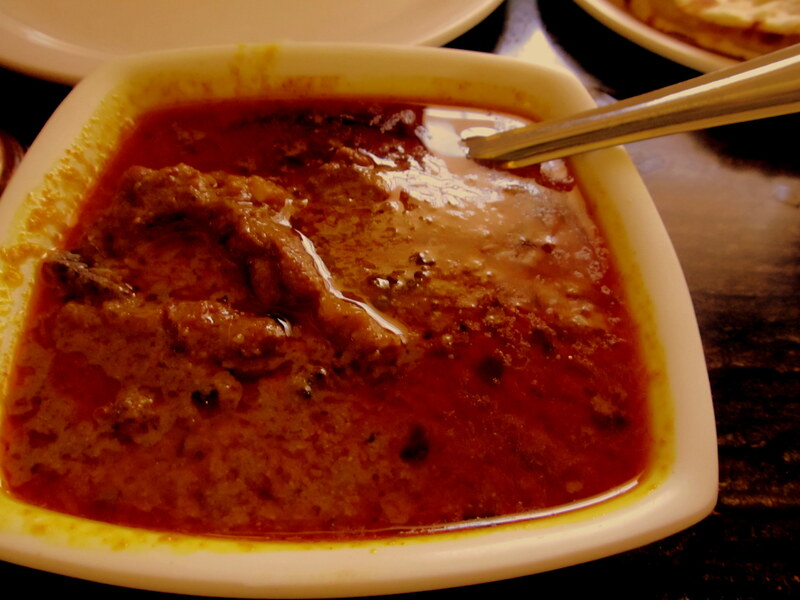 That night the Maharashtrian fare was very nice. One day we visited the Ajanta caves and the next day, the Ellora caves. Trips to these caves are a minimum of 5 hour excursions each. We would leave for them immediately after breakfast. I was touched when, on both days, we were given a picnic box. Infact, we were given one even for our drive back to Mumbai! 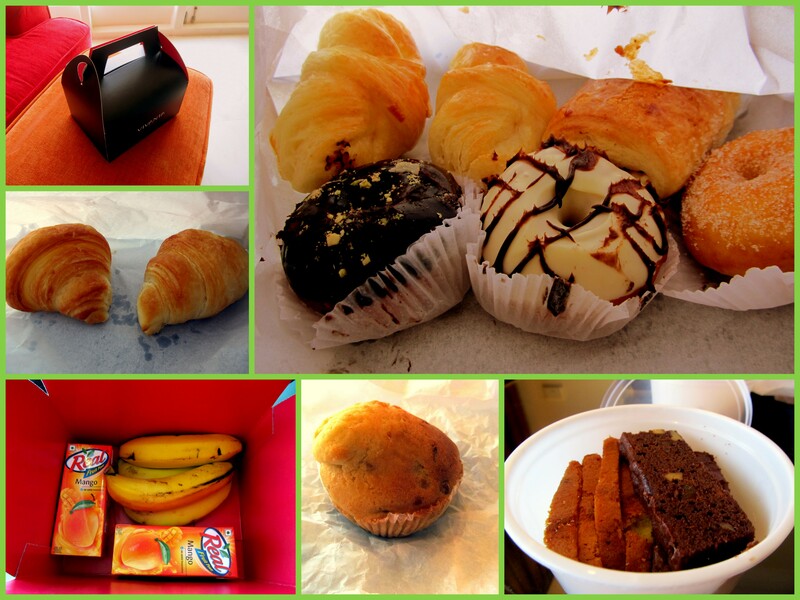 The box contained juice, fruits, either slices cake or croissants, muffins or other savories. At Ajanta, we ate lunch at Ajanta canteen; it’s the first food stall as soon as you enter the food and shopping zone, leading to the caves. We each had a vegetarian thali and order an extra dish called sev tameta. 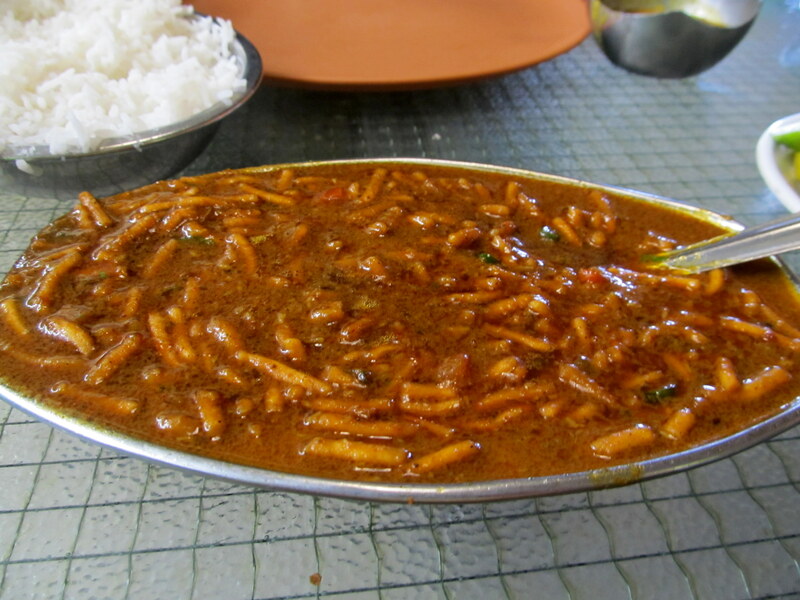 Sev tameta is a Maharashtrian dish made with tomato gravy and topped with thick sev. Thali at Rs. 60 was delicious. 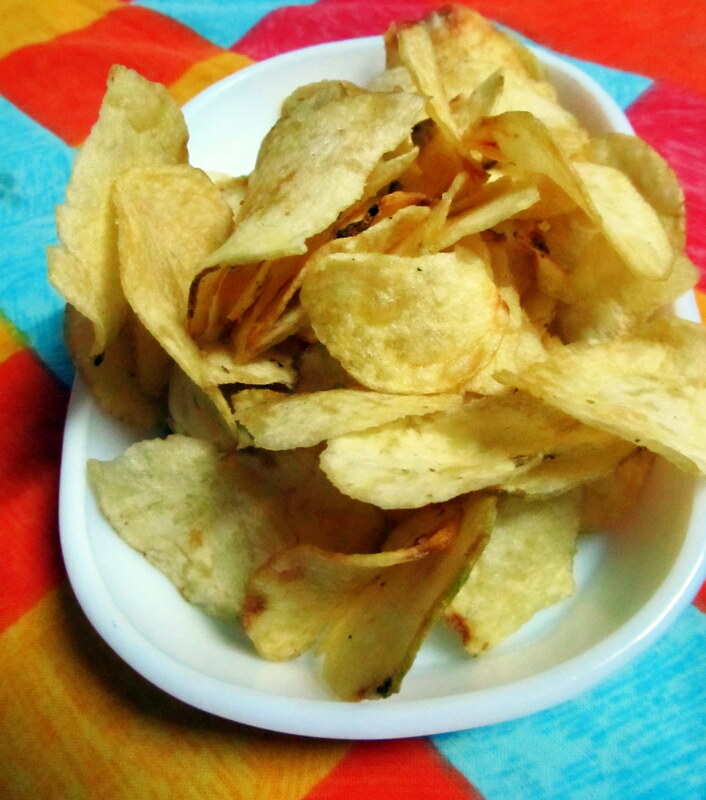 The sev tameta – yummy. We were so hungry after the caves that the piping hot lunch was all over in 15 mins. I was so hungry that I did not take any pictures. 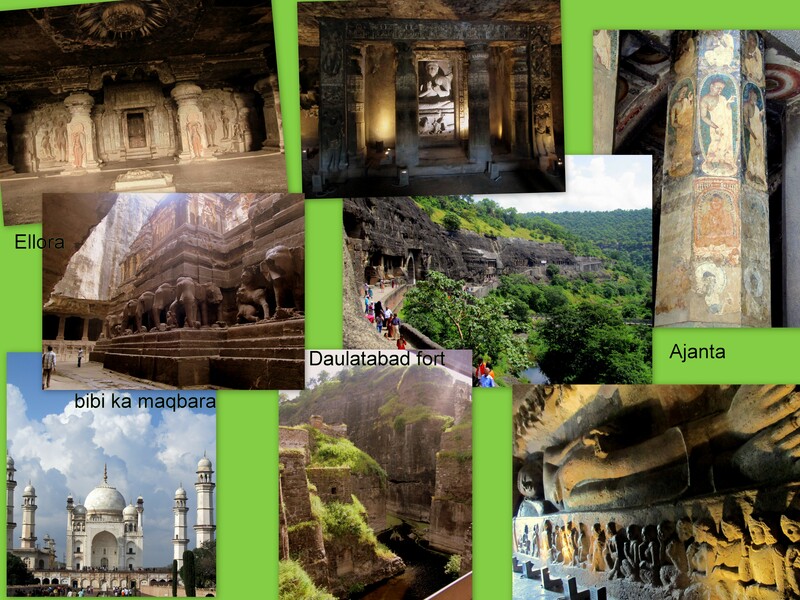 Following are a few snapshots of Ajanta caves, Ellora caves, Bibi ka Maqbara and the Daulatabad fort. 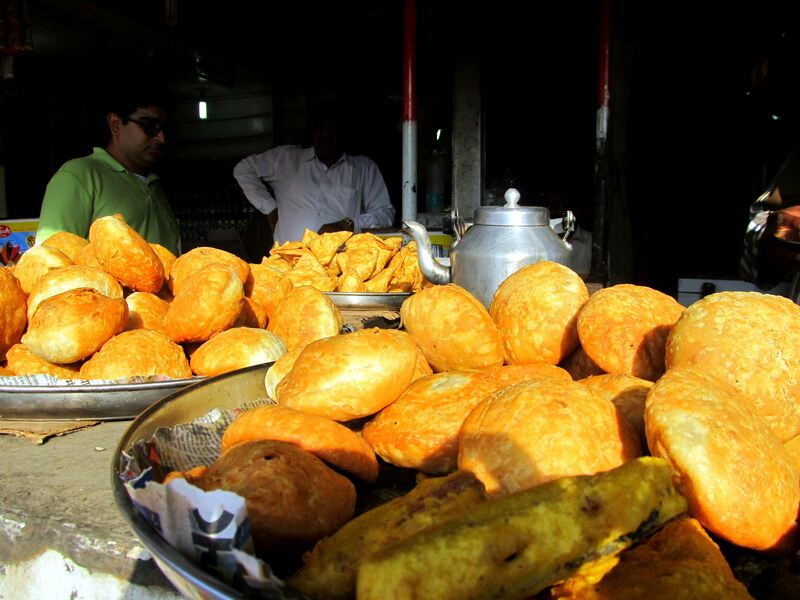 Street food-wise, choices are mainly bread pakoda, samosa and kachori. 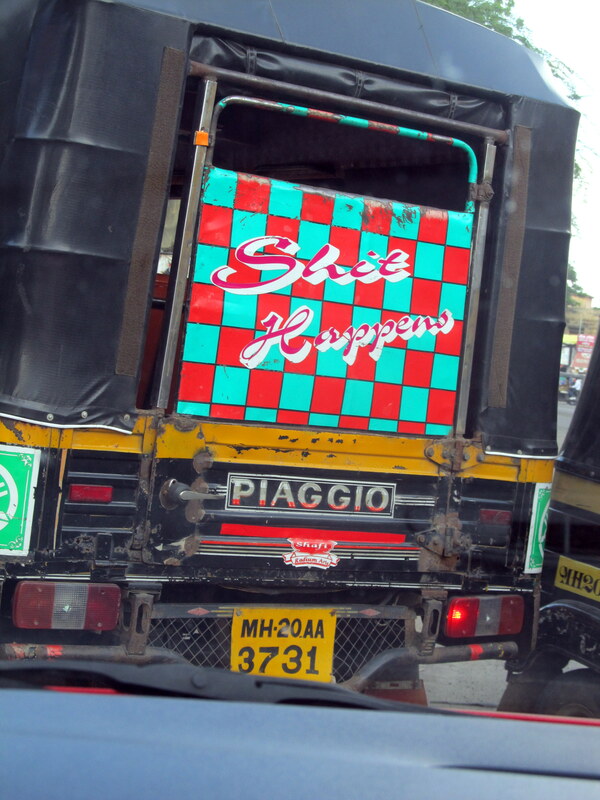 I used to have their kachoris. Loved them. Driving around Aurangabad saw nationalism at its best. 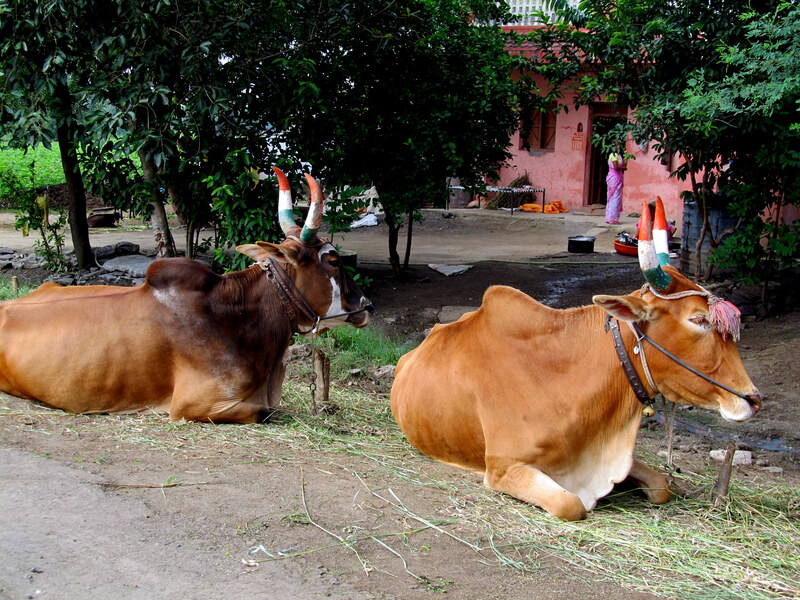 Aurangabad is known for Paithani sarees, Himroo and Badri work. The snapshot below is of a Paithani saree. 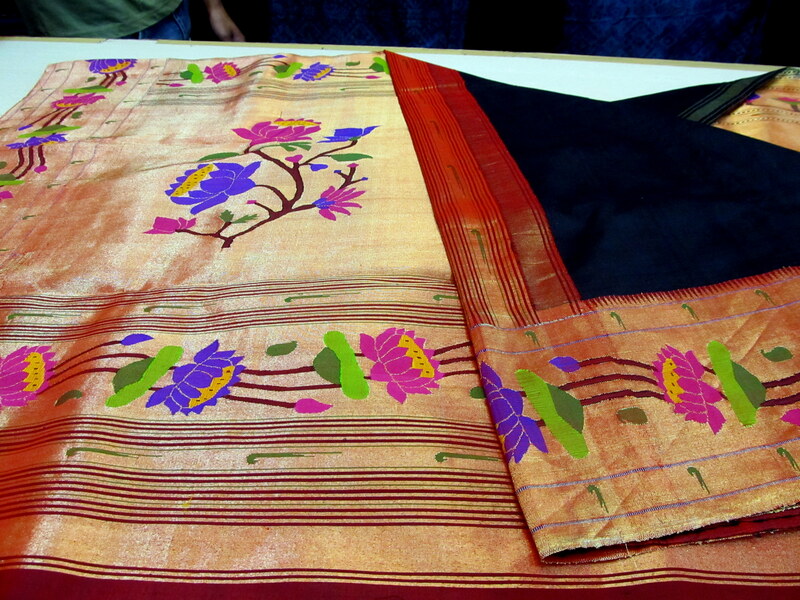 It took about 7 months to weave the sari and it costs approximately Rs.22,000. Aurangabad was named after the Mogul emperor Aurangzeb. 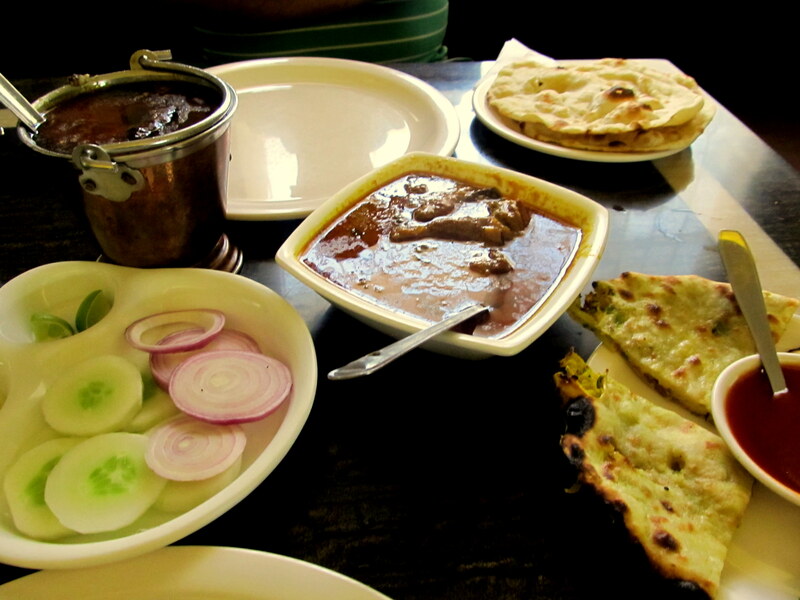 However, surprising, the food at the restaurants and dhabbas along the way are mainly vegetarian. 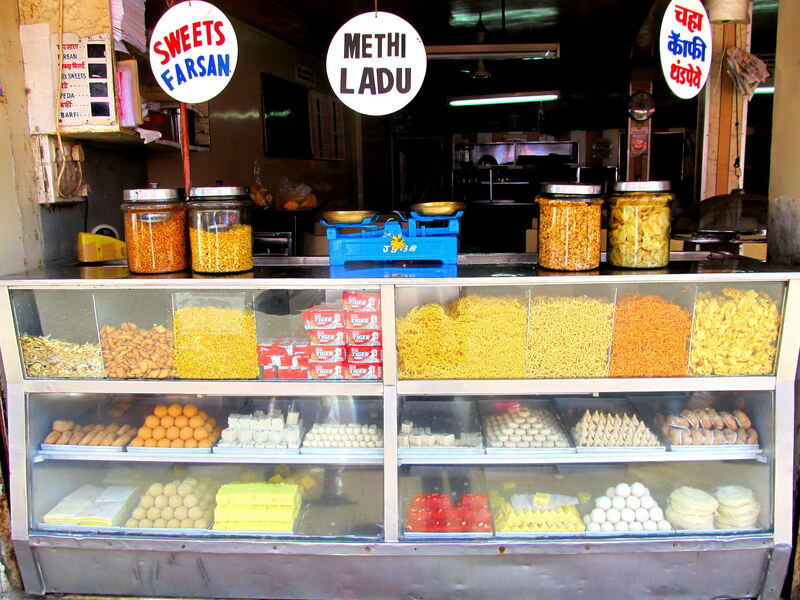 We were told that the citizens there are mainly Marwaris and Jains, hence mainly a vegetarian cuisine. 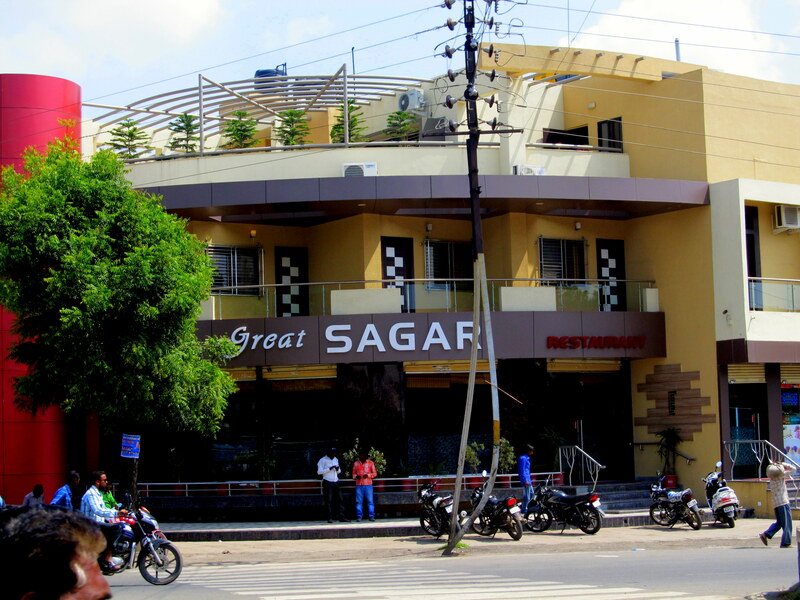 We tried Great Sagar restaurant – said to be run by Muslims and serving good non-vegetarian meals as well. 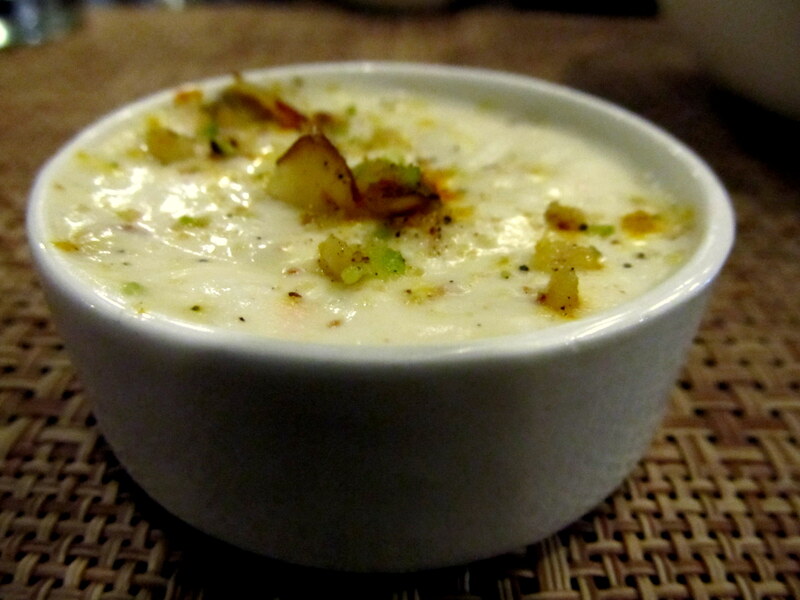 Ordered the Chicken Aurangabadi – it was really average. 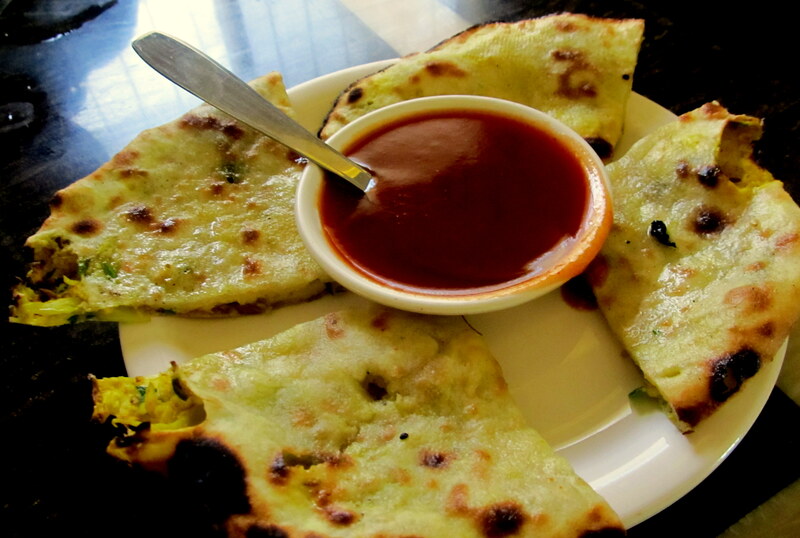 However, the Tadka Dal and Gobi paratha were excellent. 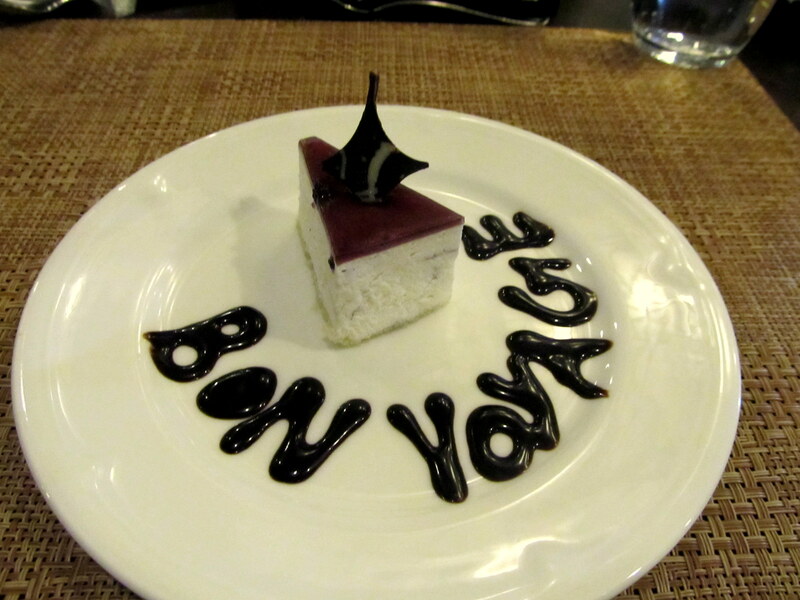 At our last breakfast at Taj, we were served a Bon Voyage pastry. 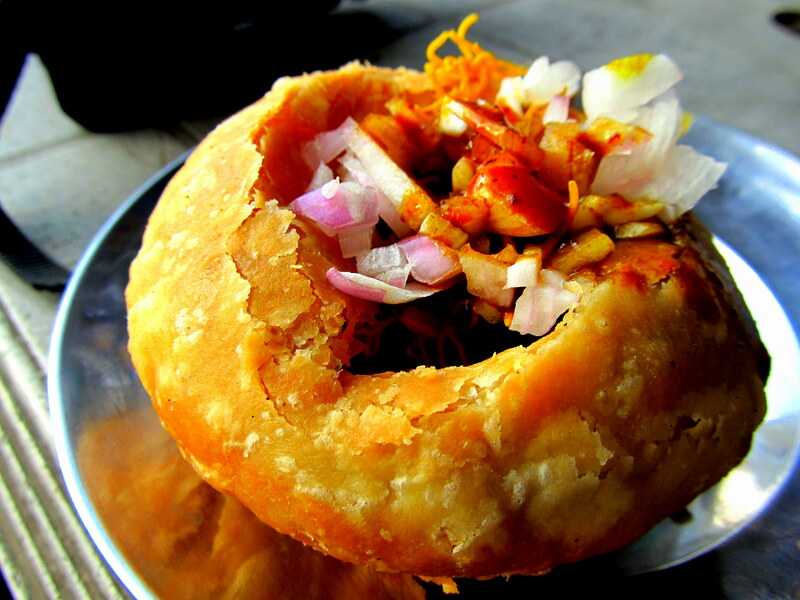 I enjoy eating local food especially country-side dhabbas, which serve the most authentic food of the region. On our return journey to Mumbai, stopped for lunch at a dhabba. 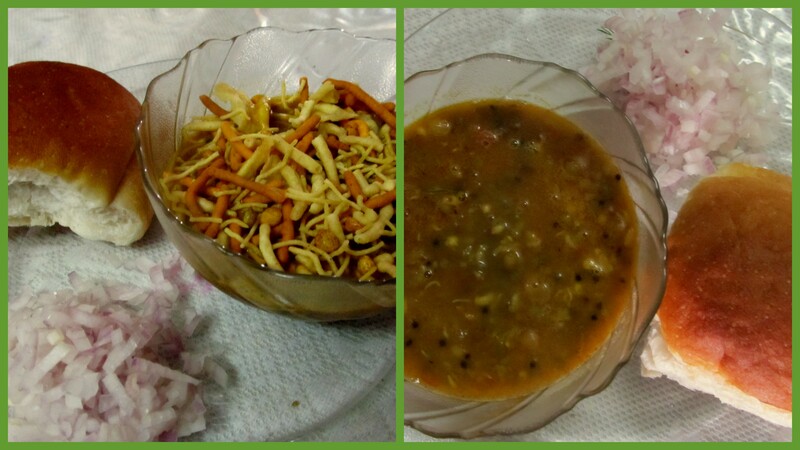 Again had a really good meal of chicken, sev tameta and tadka dal with roti. 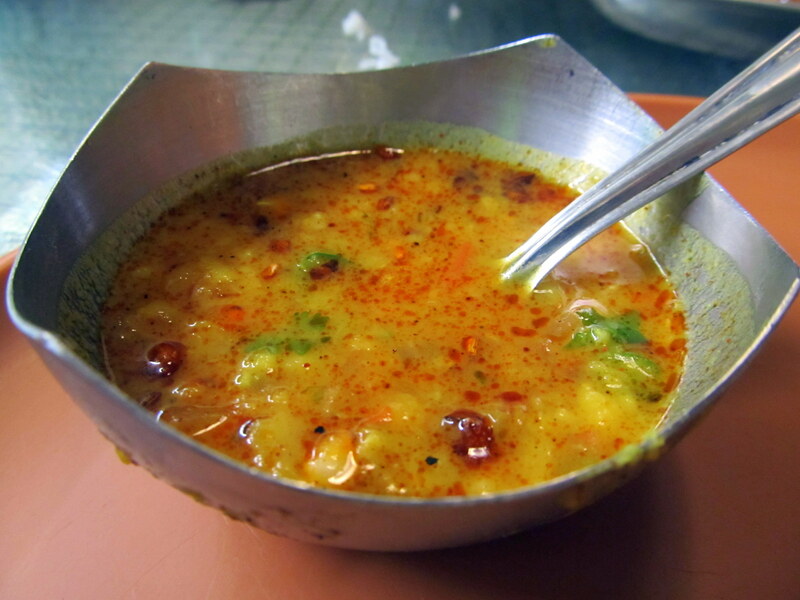 Since coming back to Mumbai, I’ve become a strong supporter of tadka dal. So much so that, on our return home, the very next day, I surfed for the recipe and made the dal for dinner. It was well made. Next Maharashtrian meal to try will be Sev Tameta. 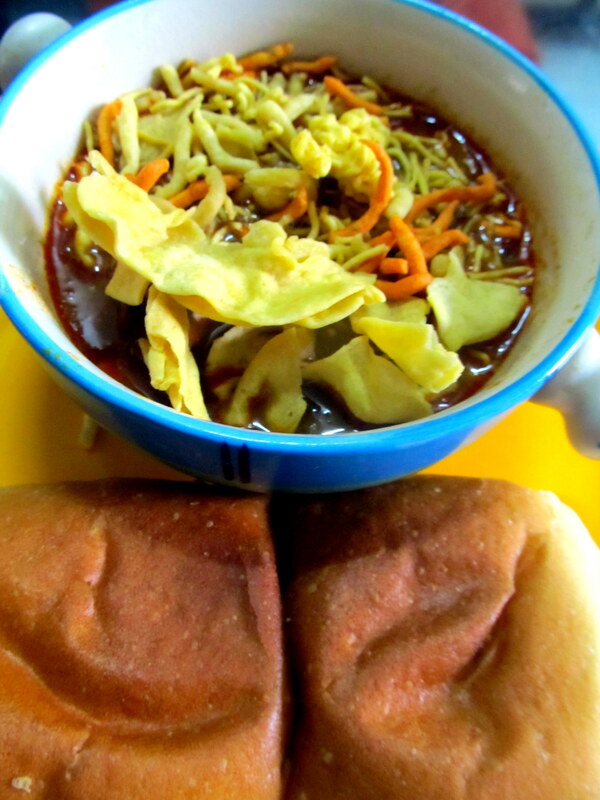 I made usal n misal pav ! yay!